Inspired by the chapter, ‘Invincible, The Denouement Album’ from The Dangerous Philosophies of Michael Jackson by Elizabeth Amisu (Praeger, 2016). 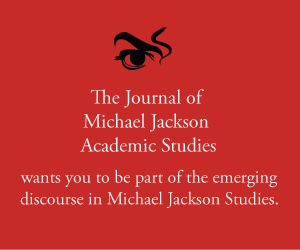 Abstract: Little academic writing has been devoted to Michael Jackson’s final studio album, Invincible. This article explores Invincible through Kanye West’s metaphor of Crack Music from the 2005 album, Late Registration and places it in the context of black aspiration as a threat to dominant Western ideologies.